There are many hacks for increasing productivity, but so many depend on tricking your own mind or behavior. When it comes to motivation in the workplace, though, sometimes the space within which you work dictates how you behave and the work you produce. So if you want to increase your ability to get more done in a single workday while doing a better job, consider changing your surroundings in the following ways. Like the color green? 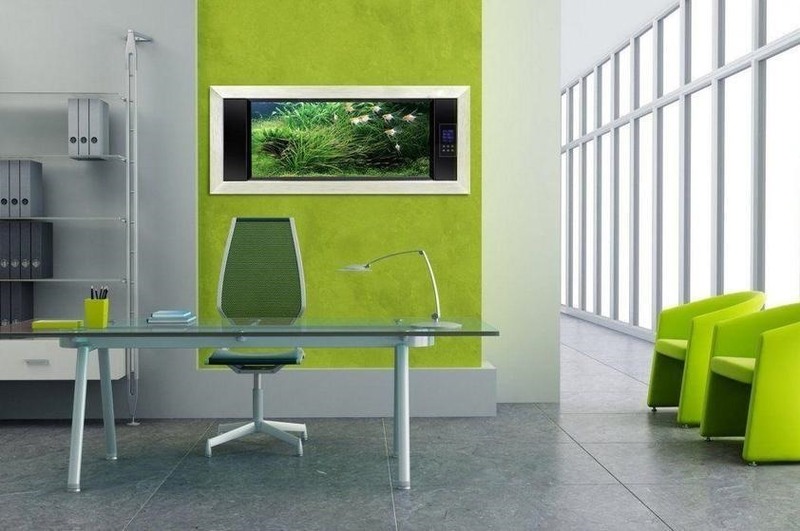 Even if you don't, consider adding the color to your everyday workspace. According to Huffington Post, those who worked with green in sight became more creative. 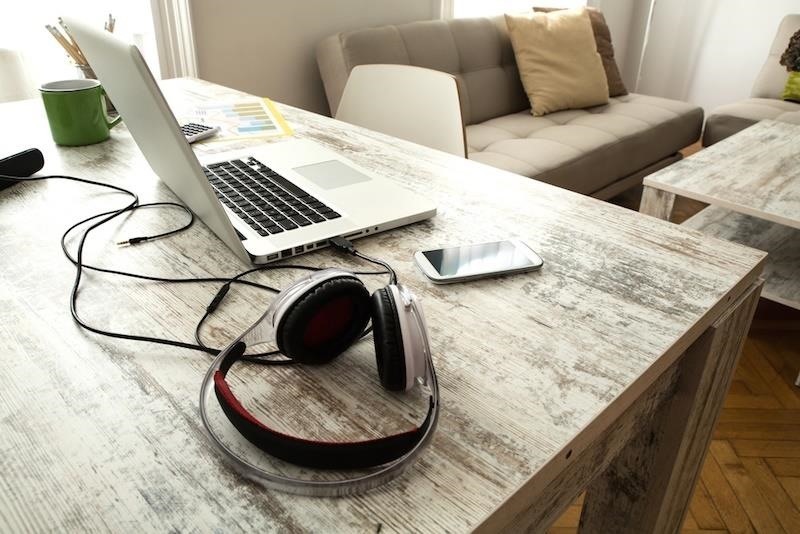 Though it may be a tiny bit annoying to have to tap your coworkers on the shoulder whenever they have headphones on, those who listen to music they enjoy in the workplace get more done. Not only are they happier, but they are able to move through dull, repetitive tasks quicker and hone in on important tasks. Introduce a plant into your workspace, and you'll find yourself both happier and more motivated. 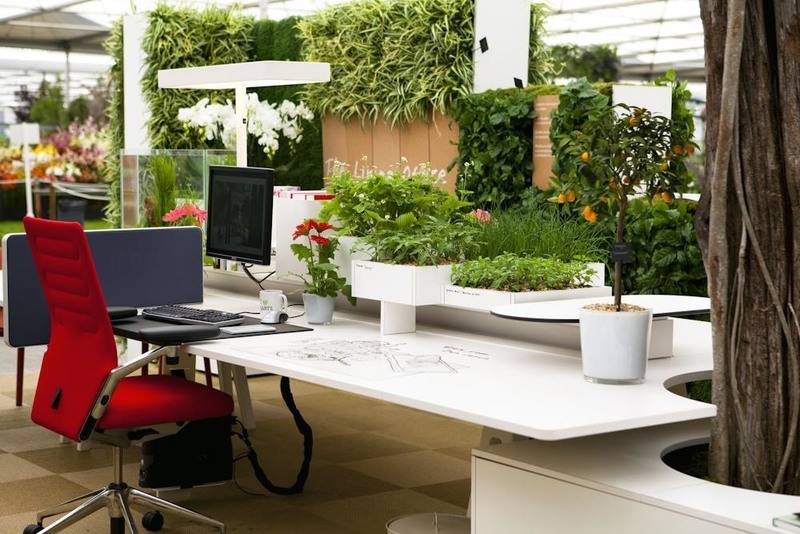 Recent research found that those who kept living, breathing greenery nearby while at work reported being happier and increased drive. You might even begin to consider your office a healthier place to work, too. Photos are a common adornment in employee cubicles—and those happy, familiar faces are a key aspect of how productive you are. When we see those we love and enjoy spending time with them staring back at us, we're reminded of happy times and life beyond our work desk. If you're drowning in work and feel resistant to getting things done, you can take a glance at the happiness facing you on your desk and find the motivation you need. 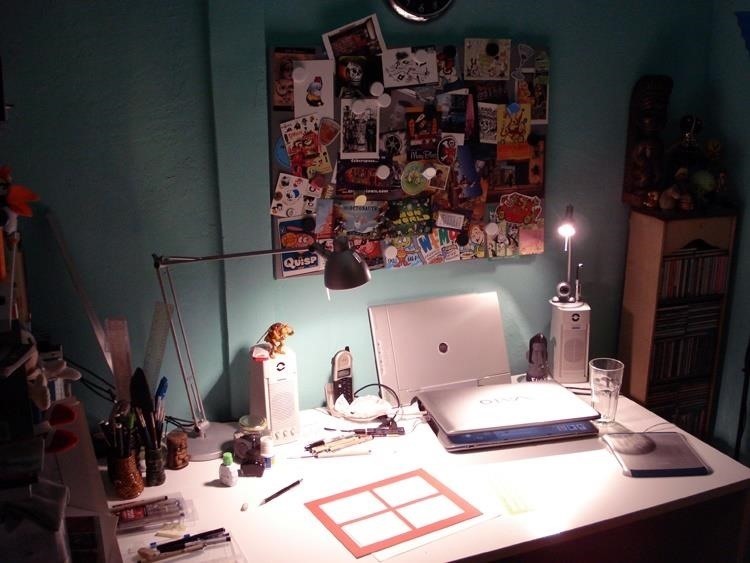 Messy desks are creative desks, despite what you might think. 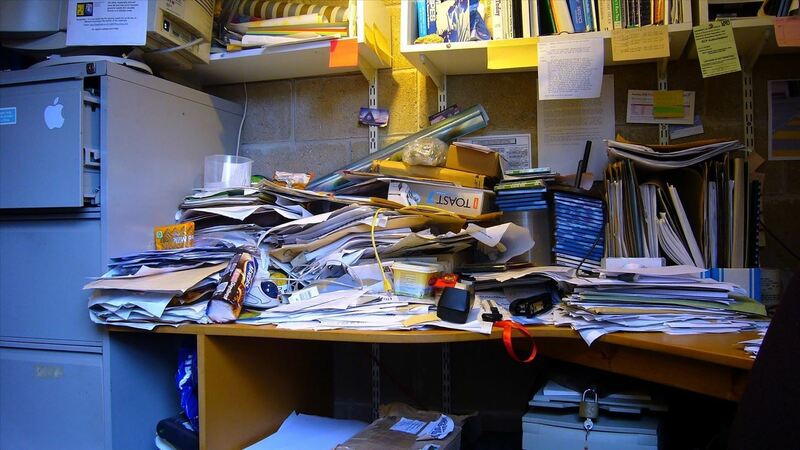 Though seeing a coworker's sloppy desk might set off worrisome alarms in your mind, messiness is in fact an organization system itself. Those who thrive in a lack of organization are more creatively minded, and are able to work without the constraints of order and what "should" occur. They are better problem solvers, and more equipped to tackle crises as they rise. Can't stand sitting under the fluorescent light bulbs beaming above your desk any longer? Good—they're hindering your productivity. Workers who aren't positioned near natural light are more stressed and depressed, and they tend to let those feelings bleed into their personal lives, too. Fight this sad, unmotivating effect by changing your desk lamp light bulbs out with ones designed to mimic natural sunlight. A happy, bright employee works more than a miserable one! 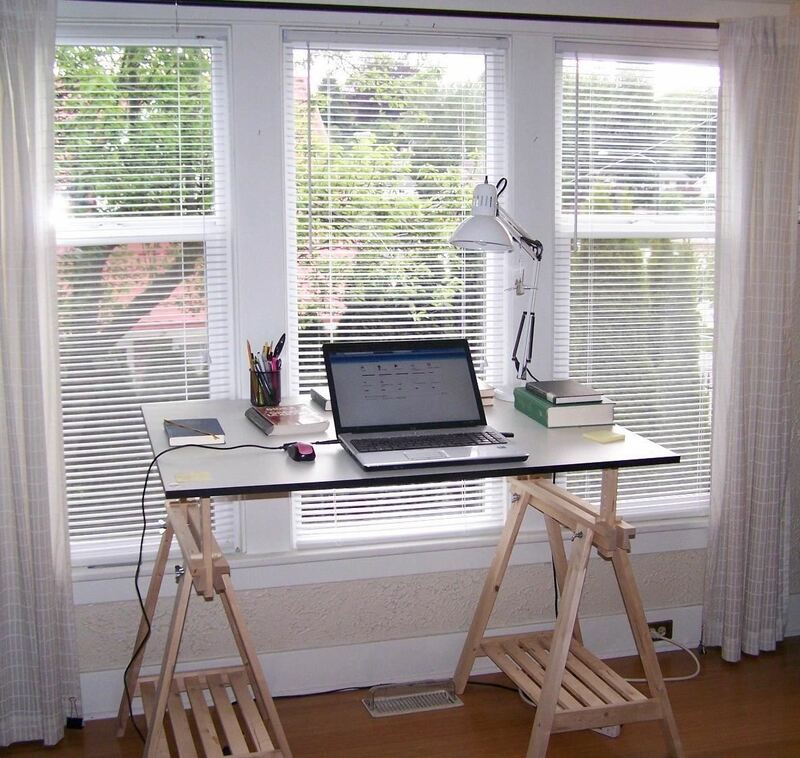 Though some prefer to keep their workspace clean, simple, and as minimalistic as possible, research suggests that this decor idea doesn't make for a happy work environment. Instead, choose to decorate your space with knickknacks, photos, and odds and ends that you enjoy, and your productivity will improve. The more you're surrounded by things that bring you joy, or represent what it is you love, the better your performance. Although our lives are closely tied to our desktops and laptops, there are times at which we need to see our ideas and plans take form. 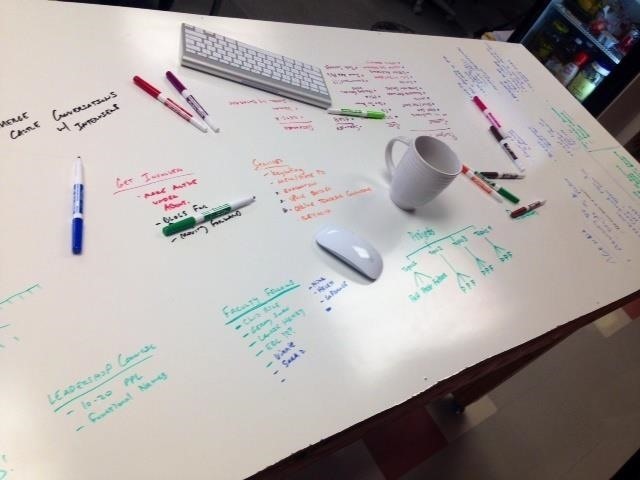 Examined Existence suggests making room for a whiteboard in your workspace, to provide an area on which to visually map things out. When it's time to get creative, you can utilize the whiteboard to depict exactly what it is that's living inside your mind and get the creative process truly started. As productive as you may feel staring into your computer screen all day, there's value in changing things up. After an eight-hour day hunched over our keyboards and leaning in to get closer to the screen, our bodies and minds become exhausted. To keep your productivity flowing, try changing your position—gravitate towards a stand-up desk, or relocate to another room within the company's office to get a different perspective. Increasing your comfort and moving to unusual surroundings can engage your brain in new ways. Perhaps even more important than taking breaks during the workday is getting up and getting out. 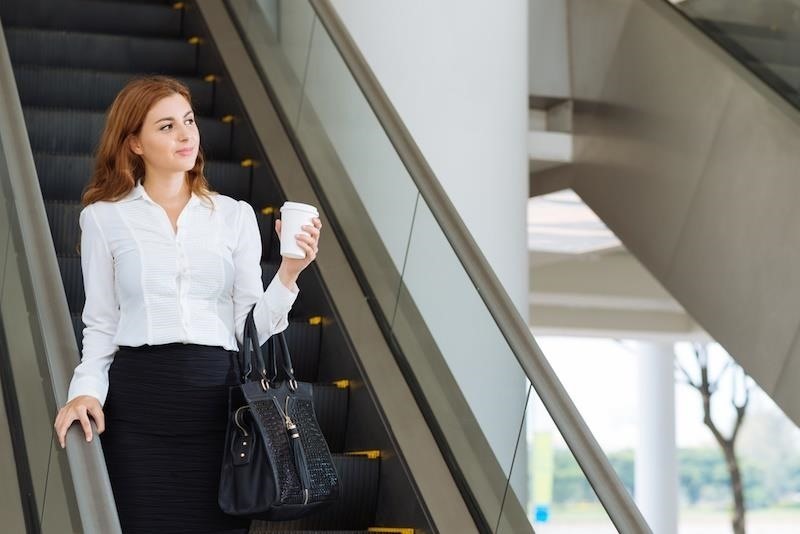 While it's tempting to remain sedentary at your desk for the duration of the work day, it's to your benefit to get away from your workspace and take a few walking laps. 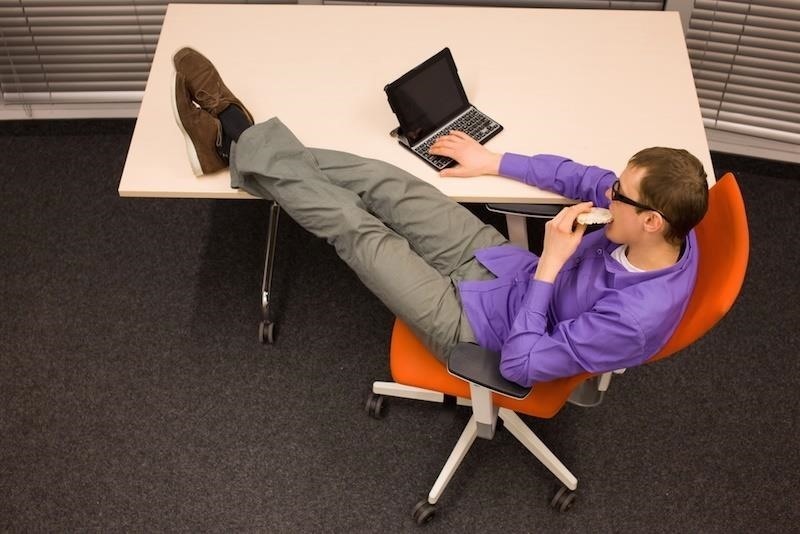 As soon as you get moving, according to PBS, you'll return to your desk with a renewed vigor and productivity that can get you through that midday laziness slump.